Seven transport projects in Greece have been recommended to receive 61 million euros in funding under a European Union financial mechanism supporting infrastructure networks. The announcement came on Friday when the European Commission proposed to invest a total of 2.7 billion euros in 152 key transport projects that support competitive, clean and connected mobility in Europe. “In doing so, the Commission is firmly delivering on its Investment Plan for Europe and on Europe’s connectivity,” the Commission said on Friday. Selected projects will contribute to modernising rail lines, removing bottlenecks and improving cross-border connections, installing alternative fuel supply points, as well as implementing innovative traffic management solutions. The investment is made under the Connecting Europe Facility (CEF), the EU’s financial mechanism supporting infrastructure networks, and will unlock 4.7 billion euros of public and private co-financing. According to the Commission, such investment will not only modernise Europe’s transport network but also stimulate the economic activity and spur job creation. “This new wave of investment focuses on clean, innovative and digital projects to modernise Europe’s transport network,” EU Commissioner for Transport Violeta Bulc said. The largest amount of funding for Greece (40.3 million euros) has been recommended to cover the construction of a quadruple railway in the Athens RS-Tris Gefyres section along the Orient/East-Med Corridor. 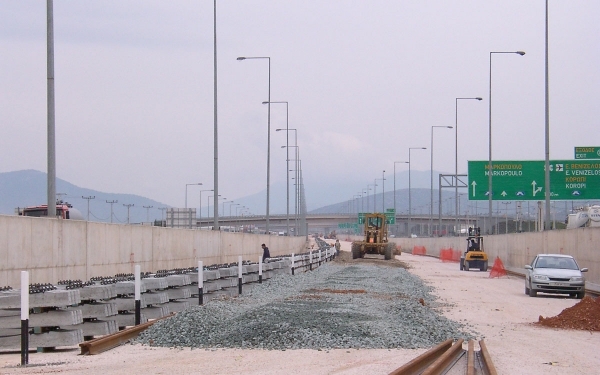 It aims at the modernisation of a 17.12 km railway line in the framework of the improvement of the Piraeus-Acharnes Traffic Centre (SKA) section. In the long term, the action will allow a promotion of the use of the sustainable transport modes with less environmental footprint. Among the Greek projects selected for funding is the upgrade and electrification in the Polikastro-Idomeni railway section which is part of a Global Project aiming at upgrading the Thessaloniki-Idomeni railway axis in compliance with EU requirements. Recommended CEF funding is 7,093,100 euros. All projects were selected for funding via competitive calls for proposals launched on October 13, 2016. The EU Member States represented in the Connecting Europe Facility Coordination Committee must now formally approve the proposed funding decision at their meeting on July 6.